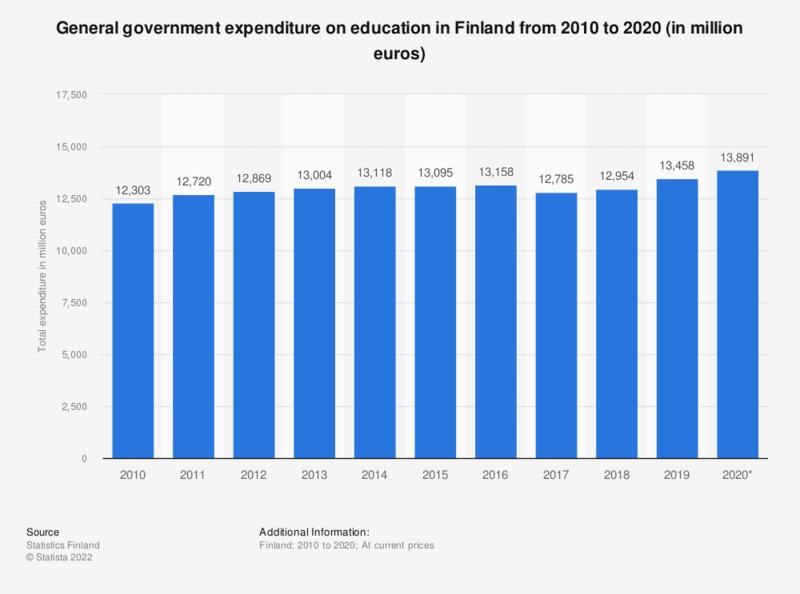 This statistic shows the total general government expenditure on education in Finland from 2005 to 2016. In 2014, the total expenditure on education was 13 billion euro. The corresponding figure for 2005 was 10 billion euro.